Dr. Andrew S. Rothschild, PT has been a practicing physical therapist for 12 years. He is a board certified orthopedic clinical specialist, is certified in dry needling, and has also completed a manual therapy residency and fellowship through the Ola Grimsby Institute. He has also taken numerous courses on spinal manipulation, exercise prescription, and pain neuroscience. Dr. Rothschild has a passion for learning and education and spent several years as the assistant and then lead instructor in the ortho lab for VCU’s department of physical therapy. He has been an instructor with IAMT for over 4 years, teaching spinal manipulation, exercise prescription, cervical and lumbar spine assessment and treatment, and clinical decision making. Dr. Rothschild sought out a career in physical therapy after developing spondylolisthesis and undergoing an L4/5 spinal fusion at the age of 23. Having been an active athlete for most of his youth, including playing collegiate level soccer, the long recovery from back surgery and several years of chronic pain was one of the most challenging things he has had to overcome. After realizing that his body could no longer handle the heavier loads of barbell training, Dr. Rothschild began looking into the kettlebell as both a strength/performance and rehabilitation tool. 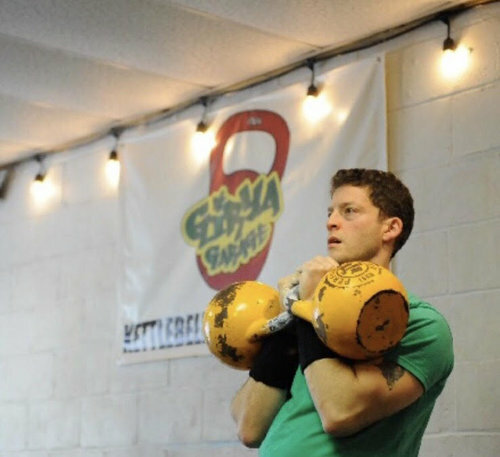 He has explored training with many certified kettlebell trainers from various schools of thought and taken what he considers to be the best from each of them to develop a simple approach that can be beneficial for people of all ages and abilities.